Gianluigi Buffon said Juventus go from ‘great confidence to seeming fearful at the first sign of difficulty’ following the Bianconeri’s draw against Inter Milan. Buffon spoke to Sky Italia following Juve’s 1-1 draw against Inter Milan, their fourth draw in the last five games. “In my view the same thing happened in other games, which is that we go from great confidence and arrogance of being the best team with excellent potential to seeming fearful at the first sign of difficulty. “It happened against Sampdoria, Torino and Napoli. 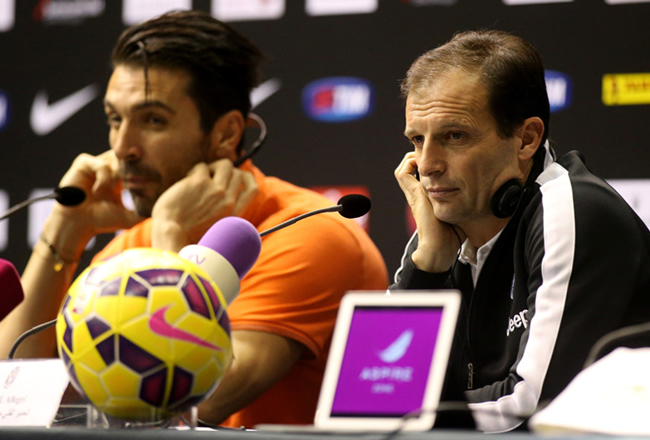 We need to mature definitively if we want to take an important place in the Champions League as well as Serie A. “It isn’t a worry as such, but it is something we need to analyse and pick apart. There are moments during the game when Juventus are absolutely dominant and create a huge number of scoring opportunities, but must remember that if it’s 1-0 then we need to keep our eyes open. “Every team that we face have some very talented individuals who can cause us problems at any moment. At the moment the results aren’t good, but before these five games we had another 15 or 16 in which Juve showed very entertaining and effective football. We are still top of the table and in the Champions League Round of 16.